Arizona Termite Control by Care-Free Termite Protection, LLC (480) 513.0313 ~ Specializing in Termite Treatment, Termite Warranty Treatment, Termite Inspection for Commercial, Real Estate and Real Estate Resale. Care-Free Termite Protection, LLC provides thorough termite inspections and treatments with warranties for your home or business. Do you need a Phoenix termite exterminator or treatment for a re-sale? All WDIIR’s (Wood-Destroying Insect Inspection Reports) are completed daily and sent to the real estate agent and the title company handling the closing. We will not hold up your closing! Care-Free Termite Protection, LLC uses Premise®,; a non-repellent termite treatment solution for your Arizona Residential or Commercial building, meaning that termites unknowingly enter the Treated Zone™. 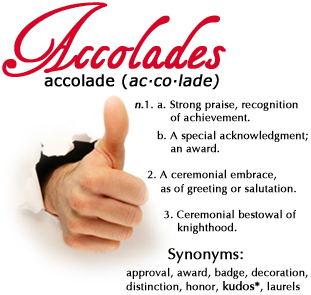 Applied to soil, Premise®, creates a protective Treated Zone™ between termites in the soil and wood in your home. Other repellent termite control products rely on a complete barrier to be effective – one small gap in the treatment and termites will find it. Premise®, works by killing termites, not repelling them. Its unique chemistry binds to soil and won't wash away. 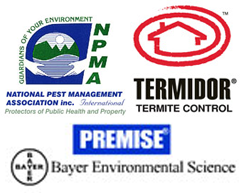 Premise®, gets rid of termites in several ways. 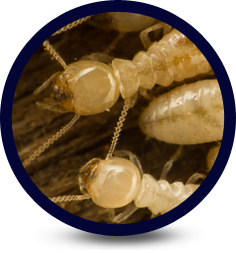 First, termites are eliminated as they ingest or contact Premise®, in the Treated Zone™. Second, termites transfer Premise®, through social interaction and cannibalism. Termites survive as a colony and are in constant contact with each other. Premise®, uses this against them to protect your home! Your family's well-being comes first when deciding what's best for your home, and you get that with the Premise®, family of products from Bayer. Premise®, has delivered responsible termite elimination that has been proven in more than 1 million homes. Premise®, is applied at very low rates — up to 10 times lower than some other termite treatments. Best of all, rigorous testing to meet Environmental Protection Agency standards and several years of real-world use show Premise®, eliminates termites without affecting people. You can rely on us and Premise®, for Phoenix termite control to protect your Arizona home. Termites tunnel from their home in the soil in a constant search for wood to eat. But they can't tell the difference between a dead tree and your house. If they come across your home's foundation while foraging, they'll follow any cracks or crevices into your home. They may even enter through wood in contact with the soil or by building pencil-sized mud tunnels from ground levels to where the house's wood frame begins. Termite damage can cost thousands of dollars. Termites can enter your home through expansion joints, and utility and plumbing openings in the foundation. And they are small – all they need is an opening 1/32-inch wide to squeeze into your home. Chances are you won't actually see termites or a termite swarm, which lasts less than an hour. More likely, you'll see evidence of swarming – sudden appearance of winged termites; piles of small, lacy wings; or mud tunnels termites build. Under ideal conditions, a typical termite colony in Arizona with 250,000 workers can eat about 20 feet of a 2 x 4 board per year. If you find evidence of an infestation, there's no need to panic. It's unlikely the damage will get much worse from the time you first discover termites to the time your home is treated. Still, stopping the destruction sooner rather than later is important to avoid costly damage and repairs.